Former UNLV interim coach Todd Simon, who brings his Southern Utah team to UNLV on Saturday, is hoping to build a solid program in Cedar City with some familiar faces to Rebel fans. 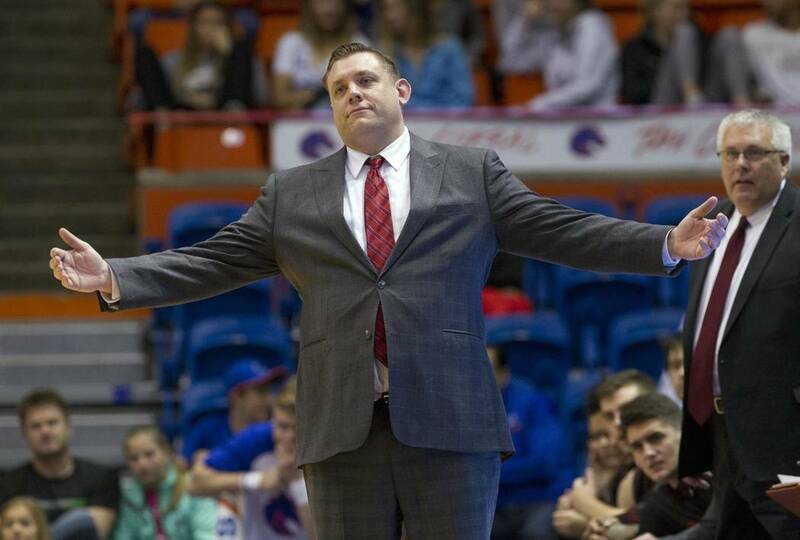 Rebuilding probably isn’t the right word for the construction project Todd Simon is attempting to undertake with the Southern Utah basketball program. He inherited more of a start from scratch project than a fixer-upper. The past two Thunderbirds coaches combined to go 82-187 in the past decade, and Southern Utah has played one NCAA Tournament game, a loss to Boston College in 2001. Simon’s first year in Cedar City last season brought more of the same, as the Thunderbirds finished 6-27. It was a new experience for Simon, who was successful as an assistant and head coach at Findlay Prep and had two stints as an assistant at UNLV before a 9-8 run as interim head coach at the end of the 2015-16 season. “When you take the job, you have mentors and people you talk to in the business that tell you it’s going to be really hard to even move the needle and not going to happen overnight, especially in a place where we had APR issues and a lot of things we just had to clean up,” Simon said this week as he prepares to return to UNLV for a 7 p.m. game Saturday at the Thomas & Mack Center. The Thunderbirds are 2-2 this season, including a win over San Jose State of the Mountain West. His team has at least one familiar face to UNLV fans. Jamal Aytes, who played at UNLV as a freshman until transferring to Brigham Young after his first semester, averages 12.5 points and a team-high 6.8 rebounds. Simon soon will have former Rebel Dwayne Morgan. He is eligible to join the team after graduation from UNLV in December and will have the rest of this season and next at Southern Utah. It has been less than two years since Simon left UNLV, but he still keeps tabs on his former school. “My kids grew up around there,” he said. “My kids know and sing the fight song. I’ve gotten to know a lot of the coaches around the campus. It was a unique situation at the end, but we loved our time in Las Vegas. That won’t be the case Saturday when Simon tries to stun the 5-0 Rebels, who are 25½-point favorites. But the 37-year-old knows it’s not just about tonight for his program.